Using social and search advertising to help grow your business is hard. Ad platforms often come with steep learning curves, intimidating interfaces, and complex reporting. With the HubSpot Ads Add-on, you can create ad campaigns and report on your ROI all right within HubSpot. Optimize ads faster: There is a lot to learn when it comes to ads. It can take years to master. But who has that much time? 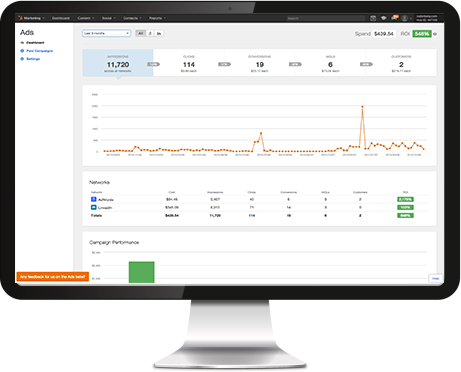 HubSpot software gives you expert tips, optimization advice and best practices right in the tool. Request your free demo by filling out the form, and start leveraging ads today! If you'd like to speak to someone right away, give us a call at 1-888-HUBSPOT (482-7768).